After being teased on for days, Oppo F5 will soon be making its entry into the Indian market as the company will be launching the smartphone in India on November 2. Oppo will be launching the phone in Philippines on October 26 for which it has already sent media invites. The news came after the company posted a video on its social media platform. 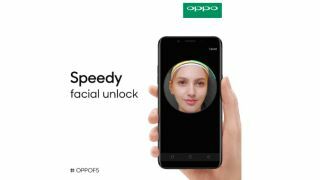 According to the video posted by Oppo Malaysia on its Instagram page, the handset will be launched in three variants— Oppo F5 Youth, Oppo F5 and Oppo F5 6GB. The handset will come with facial recognition feature, and can be operated with wet hands or with gloves, which translates that the phone might come with a special coating as well. The video also shows the phone will have the fingerprint sensor at the back. Coming to the specifications, the Oppo F5 is believed to come with 6-inch full HD+ display with a screen resolution of 2880x1440pixels and 18:9 aspect ratio. It is expected to be powered by Qualcomm Snapdragon 660 processor along with a 4GB RAM. The handset is also said to feature a dual camera set up with 16 megapixel sensors on the front and a 20-megapixel sensor on the rear. It is also said that the phone will come with a juicy 4000mAh battery. The other variants of the phone might also come with similar configuration except the Oppo F5 6GB which could come with 6GB RAM and 64GB internal memory. The Oppo F5 Youth variant is expected to be the basic variant of the phone having single sensor on the front. The video also confirms the availability of the phone in Black and Red colours. Apart from this, users might also get gifts like Oppo bag, gift box and VIP card on pre-ordering the phone.